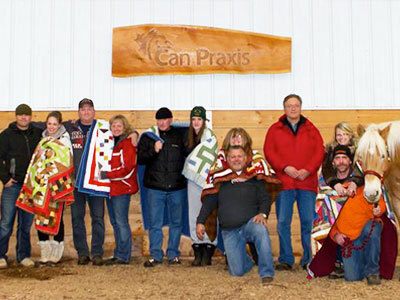 Can Praxis developed a program that uses equine therapy to help soldiers recover from Post-Traumatic Stress Syndrome and the effects of war or trauma and regain family relationships. They offer this program at no cost. 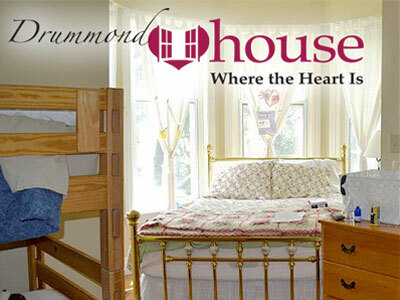 Drummond House offers temporary housing, assistance and faith-based compassionate care for women and children affected by domestic violence. Drummond House also provides counselling, help clients create goals and gain life skills to develop and grow, to help move them from oppression to freedom. Giving women and children in abusive situations a chance at a brighter future through their emergency shelter and support programs. This organization has created a safe haven where these women are empowered to take control of the future for themselves and their children through counseling and life skills training. In May 2016, thousands of lives were changed in an instant when wildfires swept toward Fort McMurray and surrounding communities in northern Alberta. Residents were forced to flee their homes, with little or no time to collect essentials, leaving behind treasured possessions, and in some cases, family pets. 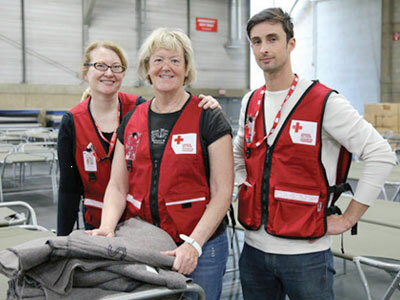 The Red Cross was there to assist residents with emergency shelter, food and many other essentials after the fire destroyed approximately 2400 homes and buildings and covered 1.5 million acres. Habitat for Humanity in Brant provides affordable housing and promotes homeownership to help break the cycle of poverty. With chapters founded across Canada, numerous staff and volunteers work, organize and build homes and partnerships, putting faith into action. 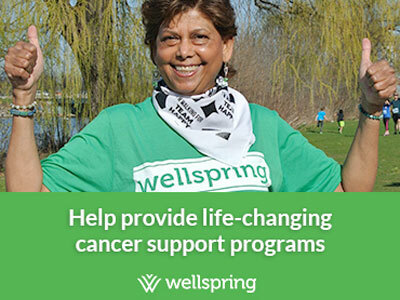 The Wellspring Niagara Cancer Support Centre supports people living with any type of cancer, at any stage, and their families through the care services they offer. Programs range from emotional, social, and spiritual to practical to rehabilitative support and are at no cost to the participants. 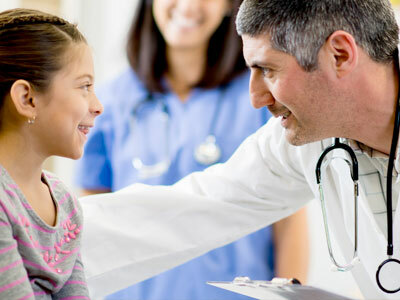 Fondation Melissa et ses amies provides assistance to families and individuals with extensive medical needs. This includes funding expenses such as travel, hotel rooms, meals and other items not covered by health insurance.  This organization ensures that families are able to focus on what truly matters, the treatment and recovery of their loved one. 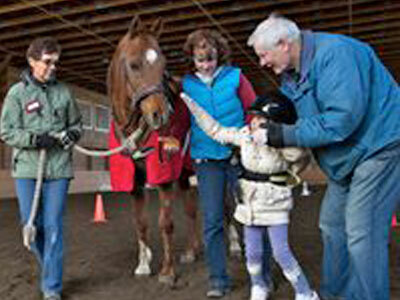 For children and youth with cognitive, physical and emotional disabilities equine therapy has proven to be very impactful physically, socially and emotionally. The Richmond Therapeutic Riding Associtaion offers an environment that helps children and youth with disabilities achieve their full development potential and encourage their integration with non-disabled people where possible supporting children to achieve goals that they and their families never thought possible. Poverty should not be a barrier to accessing support for health and well-being. 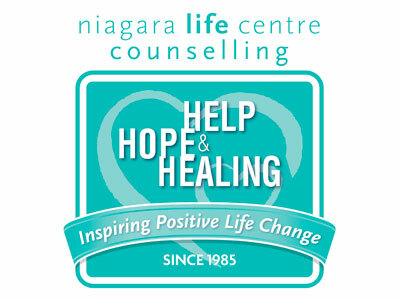 The Niagara Life Centre provides quality, professional counselling for people of all ages suffering from depression, anxiety, relationship issues or faced with any challenging times at minimal cost, or in some cases at no cost at all! Childrens Wish Foundation Prince Edward Island gives children with life-threatening illnesses an opportunity to realize their most heartfelt wish. 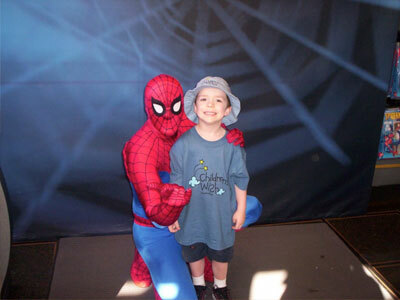 Every wish granted makes a dream come true and creates moments of joy that ease the pain of a child. And the impact spreads beyond the individual, giving respite to the child’s family, giving hope to healthcare professionals and communities and creates lasting memories. 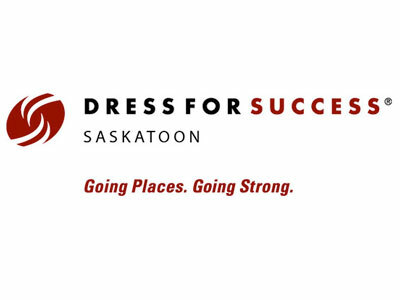 Dress for Success Saskatoon empowers women to achieve economic independence by providing tools for career development, a network of support and professional attire so they can thrive in work and in life. McMan Inn Between Youth Shelter $10,000 The McMan Inn Between Youth Shelter provides emergency shelter and support for youth under the age of 18 years. Any homeless youth between the ages of 12-17 years can enter the shelter or have a community agency assist them. Edmonton Dream Centre $8,500 The Edmonton Dream Centre helps women with addictions and rehabilitates them psychologically, socially, physically and spiritually. They provide all women in crisis the opportunity for a life change, resulting in transformed lives and a healthier community. Hannah House Maternity Home $7,000 Hannah House Maternity Home offers supported transitional housing to high risk young, pregnant and parenting women under the age of 21. By providing them with safety, security, shelter and support Hannah House can change the lives of two generations – mother and child. Foundation for Angelman Syndrome $3,500 The Foundation for Angelman Syndrome Therapeutics (or FAST) is an organization of families and professionals dedicated to finding a cure for Angelman Syndrome and related disorders through the funding of an aggressive research agenda, education, and advocacy. FAST is run by an all volunteer staff and board who dedicate their time and expertise towards finding a cure for Angelman Syndrome. Strong Start – Kitchener, ON $2,500 Strong Start offers a literacy program that has been specifically designed to help young children who need extra practice when learning essential early reading skills. Supported through financial donations, this high quality program provides the opportunity for schools to engage trained community volunteers to work one-on-one with children. Conerstone Care Society $1,500 The Cornerstone Care Society offers both Day Program and 24 hr residential programs that are dedicated to the care of developmentally challenged individuals and their families. They create a place within communities for clients to learn and grow and ensure that care provided with dignity and respect for everyone. Making Waves, Winnipeg $9,200 Completely volunteer-run and coordinated, Making Waves provides one-on-one swimming lessons to children with special needs! Pink Wings $6,085 Inspired after the loss of her daughter the Founder organized a group of volunteers to make jewelry to raise funds to raise money to go toward Reaching Out-Romania. Reaching Out is an organization that saves and improves the lives of people affected by human trafficking. Mom’s Arise $3,800 Mom’s Arise is an outreach program for vulnerable, marginalized single mothers looking to make positive changes in their life. They provide life skills workshops and personal mentoring to support women to make positive life choices to connect, grow and thrive! 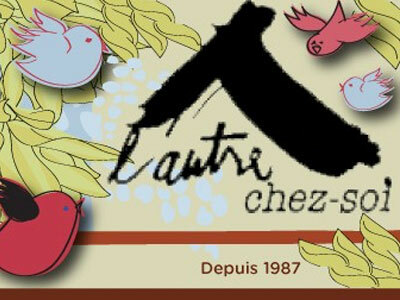 They even offer a children’s program so mothers can paticipate in workshops. Special Olympics, Prince George $2,400 Special Olympics, Prince George, BC helps intellectually challenged children, youth and adults participate and excel in sports. It helps them feel welcome, involved and gives them “the chance to be their best”. Every dollar raised goes directly into maintaining, growing and improving programs.